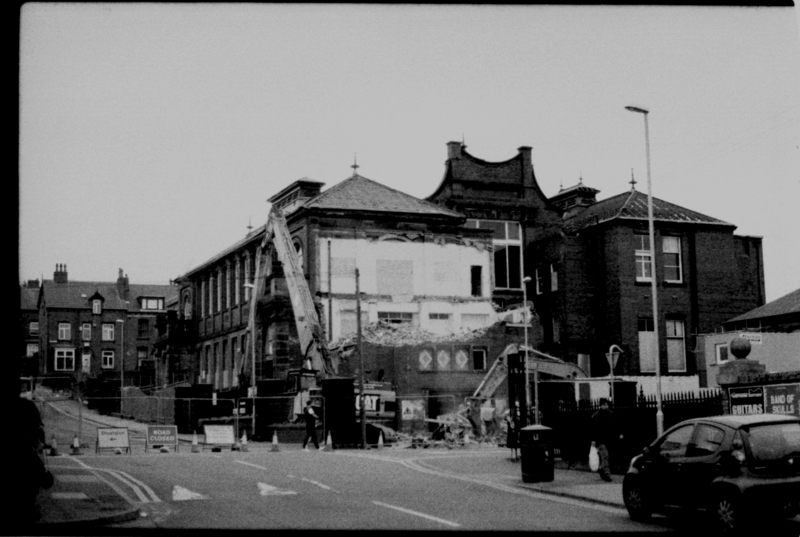 These are selections of a photo archive of the destruction of Royal Park School, Hyde Park, Leeds, 2014. This archive comprises approximately 300 black and white 35mm negatives that I have edited into a hardback book. 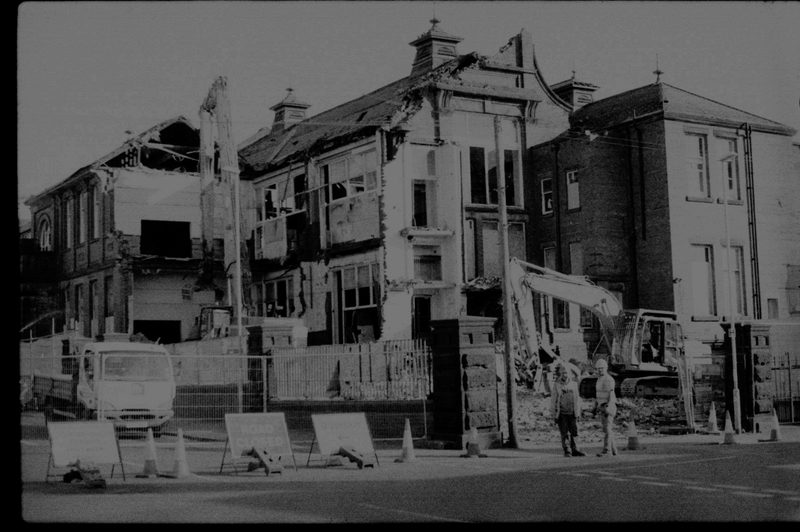 Over a period of approximately 3 months I documented the systematic demolition of the Royal Park School by Leeds City Council, from the first day of demolition to the day workers left the site. The school had been empty and unused for at least 10 years, it at least has been the entire time I have lived in Leeds. 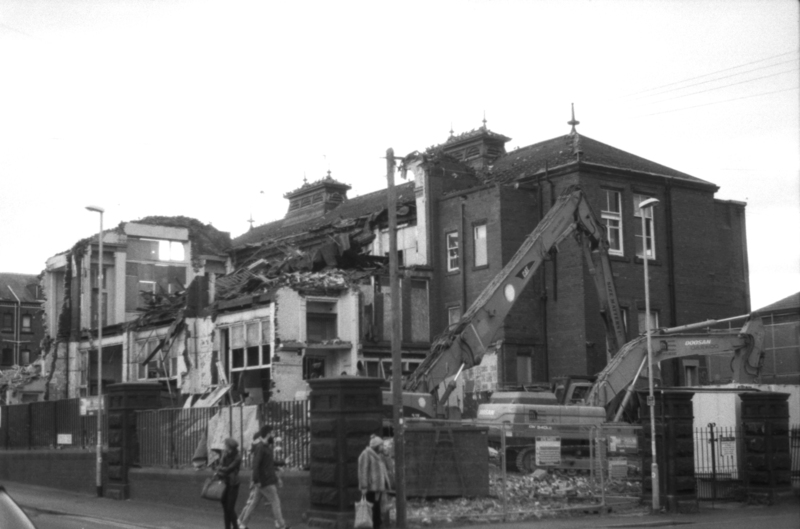 The surrounding Hyde Park community wanted to turn the site into a community centre but it was deemed too costly and unsafe a project by the council and so has been destroyed — the school was over 100 years old. The site is now being turned into green rejuvenation area, even though it is already situated next to a park and just several hundred meters away from one of the largest parks in the city. The digital colour archive of images I created simultaneously can be seen here.